VMware and Amazon Web Services have unveiled a hybrid cloud service designed to help government agencies accelerate migration of applications to the cloud and securely manage workloads through a common infrastructure. VMware Cloud on AWS GovCloud (US) runs on the Amazon Elastic Compute Cloud bare-metal infrastructure and is equipped with VMware’s Cloud Foundation software-defined data center system that integrates vSphere and other virtualization tools, VMware said Wednesday. The hybrid cloud service has a pending authority-to-operate application with the Federal Risk and Authorization Management Program and will offer VMware Hybrid Cloud Extension that works to facilitate application migration without the need for retesting and replatforming as well as provide users access to AWS’ services on the AWS GovCloud (US) platform. 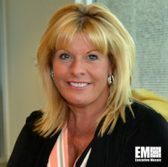 Teresa Carlson, vice president of AWS’ worldwide public sector and a four-time Wash100 winner, said the platform will work to help agencies simplify IT modernization efforts through the integration of VMware’s software applications with AWS while complying with security standards. Lynn Martin, vice president and general manager of government, education and health care at VMware, commented the service helps agencies improve their disaster recovery and continuity of operations, increase information technology infrastructure capacity and facilitate application development. 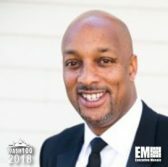 “We see customers continuing to pursue hybrid cloud to drive greater agility and cost savings, and through our partnership with AWS we can enable this more seamless transition of customer workloads and modernization of their environments without forcing them to reinvent their architectures, retrain their workforce or throw away past investments,” Martin added. “Public sector organizations view public clouds as a way to gain the flexibility and speed to respond to changing needs, improve services and align costs to business requirements. 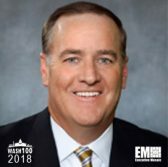 VMware Cloud on AWS GovCloud will make it easy for public sector organizations to securely leverage the cloud in new ways, with reduced operational cost,” Rowan opined. “Helping government agencies modernize their IT, while still maintaining the high bar for security and compliance, is a top priority for us. Amazon Web Services continues to innovate and expand our capabilities and services, including our partnership with VMware,” said David Levy, VP of federal government for AWS, and a 2018 Wash100 winner, in the same interview. “By extending our commitment to offer VMware Cloud on AWS GovCloud (US), agencies will be able leverage the benefits of cloud to help lower costs, improve efficiency, and comply with federal mandates,” Levy told GovConDaily.